Please join many of your friends and families from the local areas at the LIVE FREE rally on October 9th at Village Green in Garden Grove! Visit your friendly fellow patriots before the vote! We will be with several other Tea Parties located in our general area. 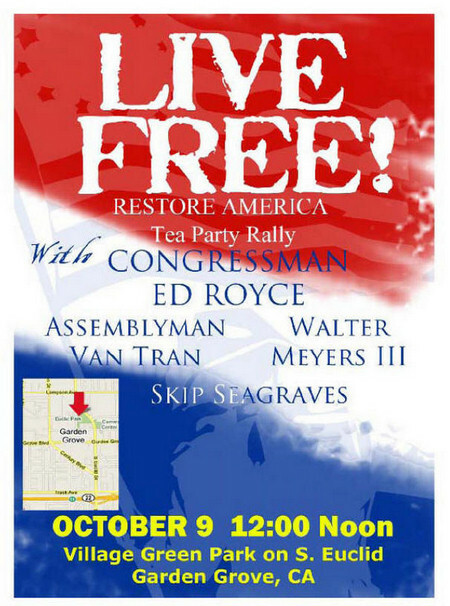 "Restore America" rally this coming Saturday, October 9, 2010 at Euclid Park, Garden Grove, from noon to 2:00 PM. All American Patriots are invited to attend this gathering in our noble quest for a free and strong America. The 405/605 Tea Party Patriots will have a large representation at this rally, so bring your family, friends and patriotic flags. Help us make a resounding cry to "Restore America." 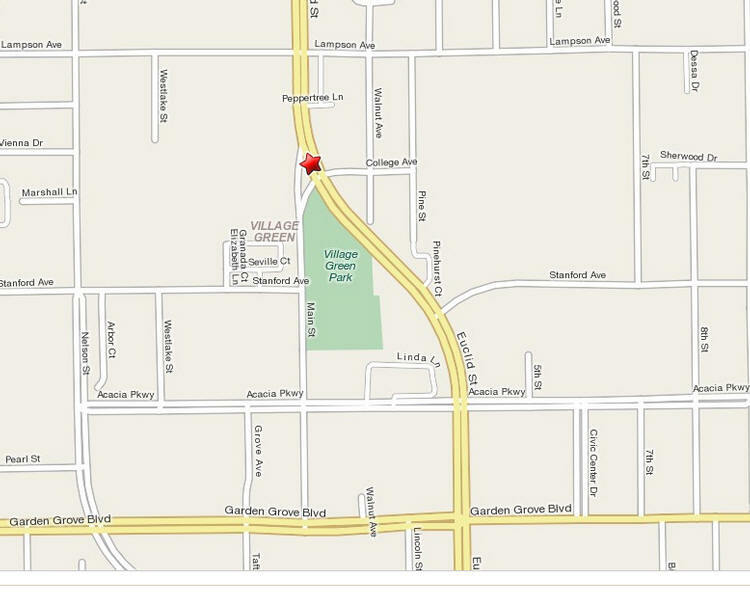 The park is on Euclid, just north of Garden Grove Blvd., and the site of the Strawberry Festival. A landmark is the clock tower at the intersection of Main and Euclid streets. There will be some street parking. Additional parking will be at First Baptist Church, 12761 Euclid Blvd. Garden Grove. Please do not park at the United Methodist Church. The Garden Grove Library will have some parking as well as the Civic Center, both located on the east side of Euclid. Please, no offensive signs and no costumes.